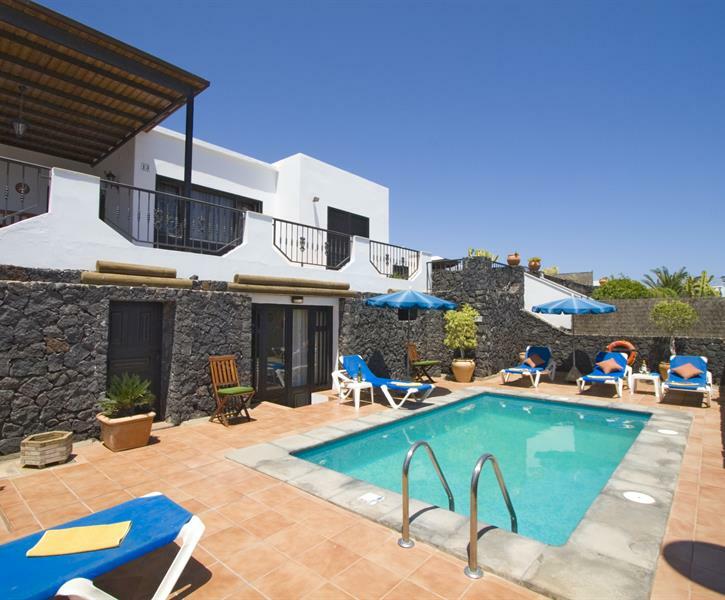 Villa Saturn with private heated pool. Villa was big enough for our family. 4 couples of all ages ranging from teens to 50 year old. Both the villa and apartment downstairs were of good size. Upstairs the 3 younger couples had plenty of room and weren't falling over each other. Plenty of storage. Pool area was lovely although don't expect an Olympic size for doing lengths! Pool man came 3 times in one week. Maids came 2/3 times. I searched for a long time before settling for this and I'm so glad I did. Staff at oceano club were great too although we only had to contact them to book guys a taxi home. If I was going back as a group I would definitely choose here. Also it's a very peaceful street and only a 5/10 minute walk to the main strip.